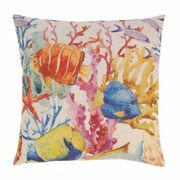 Coral Reef Decorative Throw Pillow 17" x 17". Celebrate summer all year long with this colorful underwater scene. 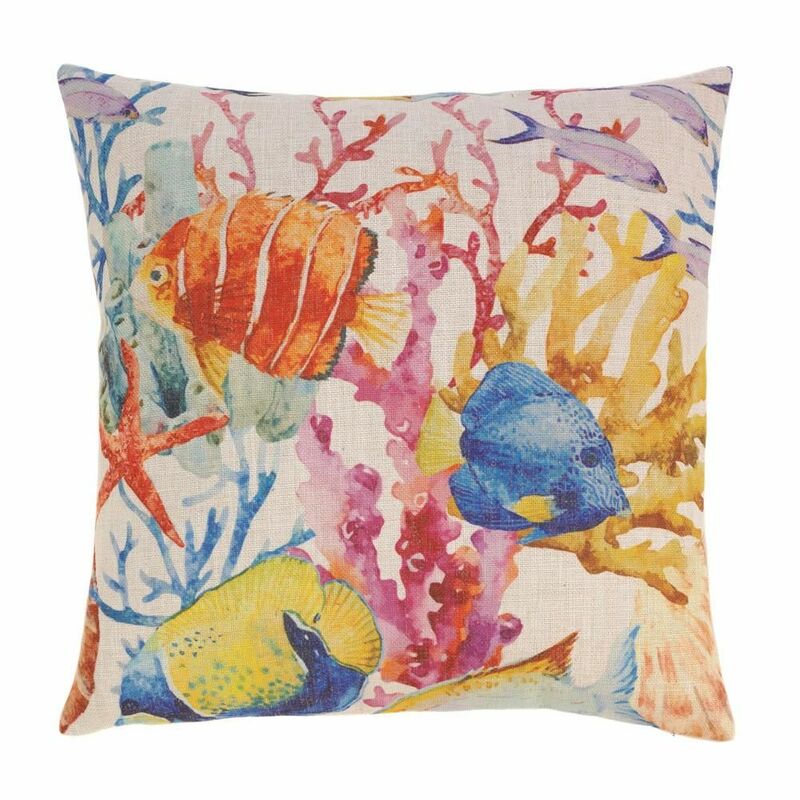 Brightly painted fish and coral reefs come to life to create that coastal beach house style you've been longing for. Watercolor brush strokes against the ivory background makes this a natural work of art! Zippered cover for easy removal and cleaning. Machine wash cold. Do not bleach. Do not tumble dry. Iron low heat.